We have spent the past three summers as volunteer campground hosts at the Apgar campground in Glacier National Park. We love Glacier – and this year so did 2.25 million others. This past October, Glacier set an all time attendance record (with 3 months still remaining). We didn't have to wait for the official count. We lived and experienced the increase at the campground. This past year we also visited Grand Canyon, Yellowstone and Teton National Parks and from our experience, we would have to believe they also set new attendance records. Last year we visited Yosemite the day after the “shut-down” ended and it was still crowded. The good news is that people love these parks and are visiting them in record numbers. The bad news is that people love these parks and are visiting them in record numbers. Why is this bad news? 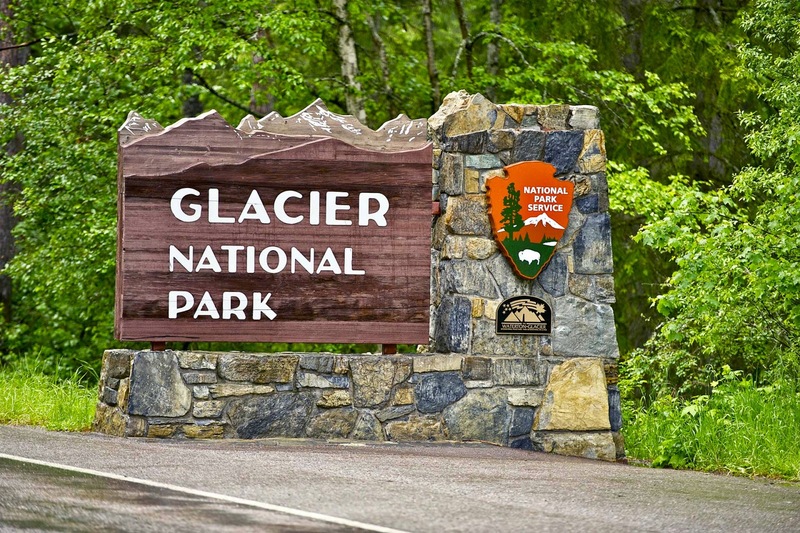 These parks became national parks in the early 1900s and never anticipated millions of visitors - in 1910 when Glacier became a National Park 1,400 people visited the park. Everything including infrastructure, roads, campgrounds, and staff are stretched to the max and are inadequate and unable to handle this growth. Are we loving our national parks to death? Let me share our experience to explain. I am going to use our Glacier experience but could have just as easily used our experiences at the parks I mentioned above. Three years ago, the 194-site Apgar campground which is on a first-come-first-serve basis frequently filled up by mid-afternoon or early evening. This year it was completely filled every day from early July through late September and frequently it was filled before noon. This meant that many campers had to stay out of the park the night before, get up early, and begin circling the campground in the morning to secure a site – not a great experience. 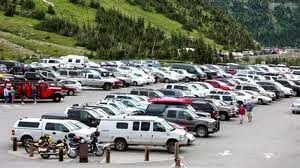 Further, because of the scarcity of camping sites and reduced ranger and law enforcement staff the guidelines and rules regarding the number of campers, vehicles and tents per were not enforced. For example, instead of following the two-tent rule we regularly had sites with 3, 4, 5 and even 6 tents. Like other national parks many of the campgrounds in Glacier were build in the 1930s an 1940's and were designed for small travel trailers and tents not 42-foot Class A motorhomes - not to mention the mega tents that far exceeded the boundaries of the tent pads. Apgar is a very pretty campground in a Lodgepole pine forest, a stone throw away from spectacular Lake McDonald. But instead of a quiet, serene campground in a wilderness setting at times it looked and felt more like a tenement. I get that the main focus of the park rangers (and for us) is to make sure all campers have a positive experience – but at what price? Allowing one camper to break a rule has the very real potential of destroying the experience of the campers around them. For example, we had a situation where a group of 18 came in and set up 6 tents on a single site. We would not have allowed this. However, they obtained permission from a ranger who decided that since the campground was 100% full to allow them to stay in the site (Did we really expect to override her decision to tell them they had to leave the park? ).This group proceeded to violate the rules and the comfort of their neighboring campers - washing dishes at the public faucet, moving picnic tables, and we had to go out well after quite hours and quiet them down. The next morning three campers who had been in sites close to them, moved to get away from them. All this leads to park visitors and campers who are stressed. They start out their experience waiting in line to get into the park, (many times the line to get in the park stretched back behind the entrance station for a half mile), and then find themselves rushing to find and secure a campsite, or driving along the Going To The Sun Road that can be bumper-to-bumper only to find the parking lot at the top of Logan Pass full. While it is hard to quantify we think the campers themselves have changed. Unfortunately, heading to a National Park has become more like going to Disney World. One park visitor actually wanted to know where they kept the bears and animals at night – really! They find themselves in competition with hundreds of others who are all trying to find the best campsite, see wildlife or get the best view at an overlook. Consequently, they push, shove, and disrespect the natural resource, as well as, each other. This behaviour goes as far as dumping black tanks without a sewer hose, leaving fires unattended, pulling tags and attempting to "steal" another campers campsite, and disregard for generator/quiet hours. We agree with the Ken Burns documentary The National Parks:America’s Best Idea. Yet, we wonder what we should be doing to make sure our National Parks survive the all the love.